Below you can view all the homes for sale in the Eldorado subdivision located in North Las Vegas Nevada. Listings in Eldorado are updated daily from data we receive from the Las Vegas multiple listing service. To learn more about any of these homes or to receive custom notifications when a new property is listed for sale in Eldorado, give us a call at 702-323-5963. Brand New Carpet Thru Out. Large Corner Lot. MLS#2089512. South Bay Realty. A must see...Washer, dryer, refrigerator and draperies won't stay. MLS#2089995. Realty ONE Group, Inc. Leased Solar Panels WALKING DISTANCE FROM COMMUNITY PARK MLS#2090261. Vegas One Realty. Spacious 2Story Home with 4 Bedrooms and 3 Full Baths Great 3 Car Garage Really nice Kitchen Area Fantastic Floor Plan Large Family Room With Cozy Fireplace 1 Bedroom And Bath Downstairs Master Suite Is Spacious With Walk-in Closet Landscaped front Yard The back Yard Has A Very Nice Covered Patio Close To Eldorado Park And Shopping This Is A Great Family Home MLS#2089996. Simply Vegas. This 2 story home is located on a Large Corner lot and features a Sparkling Pool, Laminate wood Flooring with Fire Place and 3 bedroom. MLS#2088872. Desert Sky Realty. Home on a corner lot on a cul-de-sac Ceramic tile floor in the entrance hallway, the kitchen floor, and downstairs full bathroom. MLS#2088177. Elite Realty. Dinning room right off the kitchen and open to family room. MLS#2089346. Love Local Real Estate. Close to Parks, schools, hwy access.... Low HOA $63/quarter MLS#2088995. Coldwell Banker Premier. 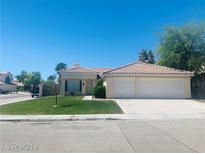 Amazing huge single story in Eldorado MLS#2089701. RE/MAX Excellence. 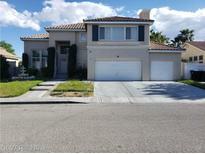 This North Las Vegas two-story offers granite kitchen countertops, a den, and a two-car garage. MLS#2086913. Opendoor Brokerage LLC. Low maintenance backyard includes shed and cool decking around the pool! Must see!! ! MLS#2088186. Love Local Real Estate. Double Rv Parking On Both Sides All Nestled On An Oversize 1/4 Acre Lot And Corner Culdesac! MLS#2084303. DeVille Realty Group. Back yard has built in bbq, pool, and spa! MLS#2086997. Shelter Realty, Inc.
Great 2 Story Home Lots Of Potential Large Back Yard With Cover Patio, Open Floor Plan Close To School And Shopping Customize To Your Test MLS#2087286. Palacios Realty. Backyard w/covered patio & lawn. Near Eldorado park & shopping. MLS#2086703. GK Properties. Beautiful community close to shopping, entertainment, restaurants, parks w/quick access to the freeway. MLS#2085862. GK Properties. Some new features include upgraded cabinetry, granite counter-tops, upgraded bathrooms, tile floor through most of the house, garden window in the kitchen. MLS#2085690. Evolve Realty. Large master bedroom with a walk in closet custom closet, master bath has separate tub & shower. MLS#2085196. Coldwell Banker Premier. Incredibly Beautiful With Hard To Find Gensmart Suite (bdrm, Full Bath, Sep Laundry, Kitchenette, Retreat & Private Entrance), Media Rm, Laundry/Craft Rm, Den, 5 Other Bedrooms & Finished "man Cave/Hobby" Garage*finishes Include Wrought Iron Stairwell, Slab Granite, Caesarstone, Gourmet Kitchen With Island & Extended Dining Table*portico, Oversized Lot, Finished Rear Yard With Cv Patio** Notice Mmouse Custom Gate To Right Of Property* MLS#2084887. Realty ONE Group, Inc.
HGTV Look-Alike~This 4 bdrm, 3 bath beauty will stop the show~Custom mosaic tile in entryway-gorgeous~slate ceramic tile throughout kitchen and living room, granite & quartz counter tops,large kitchen island,SS APPLIANCES included, raised panel doors,stainless steel hardware~Downstairs bdrm w full bath, enormous loft, and open floor plan filled w natural light~A house becomes a home when its private backyard looks like this one finished landscape MLS#2085211. Evolve Realty. Conveniently situated near shopping, entertainment, restaurants & parks. MLS#2085373. GK Properties. Covered patio in the backyard, with built-in bbq! MLS#2084189. Realty ONE Group, Inc.
Nice size backyard with new landscape and a covered patio. This Home Is A Gem ! MLS#2084369. O48 Realty. Window coverings thru out. Must see! MLS#2084095. Easy Street Realty Las Vegas. Close to schools and shopping centers. MLS#2082929. TR Realty.